This Holiday Season was a big one for videogames, but at least one retailer didn't do as well as it would've liked. GameStop may have hit record sales numbers during the past Holiday season, but this wasn't the case with every retailer. Toys "R" Us has unveiled its holiday sales numbers, and it turns out that it didn't move videogames all that well. Overall, the chain's sales were pretty decent, with noticeable growth in North America and Japan. However, the company's entertainment division (which includes videogames) was the notable exception: "the entertainment category, which includes videogame hardware and software, was the weakest as it continued to experience sales declines." 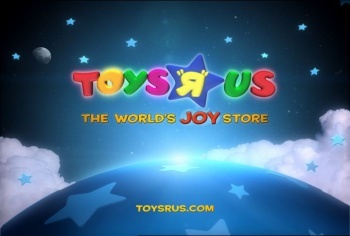 It's not surprising that Toys "R" Us is still having problems with its videogame sales. When I lived in the San Francisco Bay Area, I'd often go to the store near my house instead of GameStop because its game section was never crowded and it often had the harder-to-find titles I was looking for. Still, hopefully the chain won't start cutting back on its entertainment sections in the stores as a result of these numbers.